There is no age limit to becoming a diver! I've certified people between the ages of 12 and 78. Are you comfortable in the water and in good health? If your answers are "yes" -- then you can dive! Are you interested in getting your own seafood instead of paying outrageous prices for it in grocery stores and restaurants? Scallops, lobster, crab, clams, fish, oysters, abalone and prawns are just some of the delicacies within your grasp if you dive! 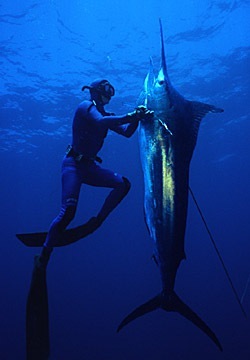 And then there's the thrill of spearfishing itself --- and being able to select the specific fish you want to take! 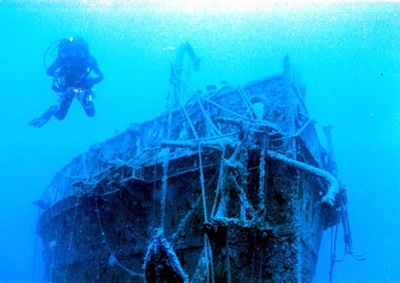 Diving on shipwrecks is another popular underwater activity! 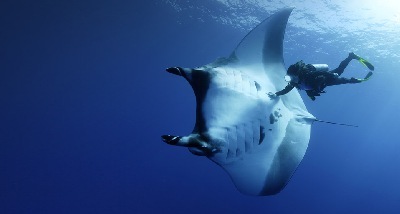 Get up close and personal with amazing sea creatures! 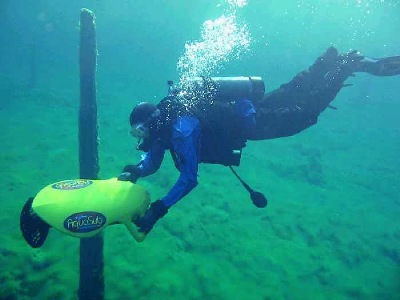 Literally dive into history with underwater archaeology. Lots of relics in the waters of the Northwest are still being discovered today! 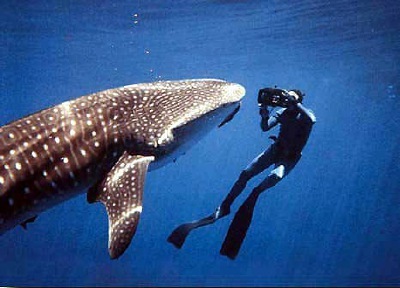 Interaction with many kinds of marine life simply cannot be put into words! 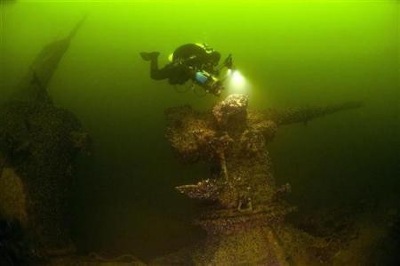 Lots of ships and aircraft lost during times of war have become meccas for divers around the world! 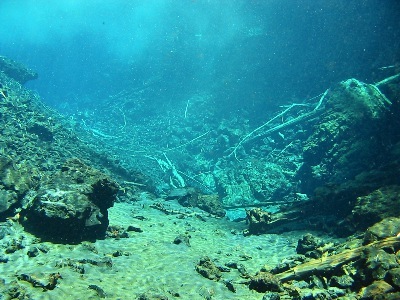 And the BEST underwater visibility -- over 600 feet -- is right here in Oregon! It's the clearest water west of the Mississippi! With underwater trees still standing -- over 3,000 years old! 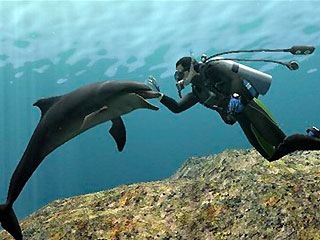 Endless adventures await you as a diver! If you learn to dive in the Pacific Northwest, you can dive anywhere! 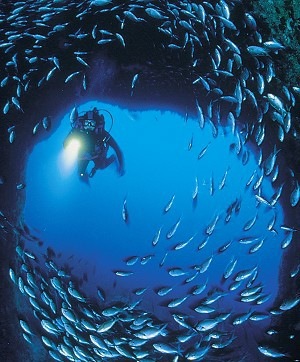 This is why: In these colder waters, you require maximum protection against loss of body heat. Because of this, you have to use the maximum thickness of wetsuit, or a dry suit, a hood, and neoprene gloves -- and because of all this gear -- more weight. When you go to warmer, tropical waters to dive (places like Hawaii, Mexico, or Florida), you "shed" a lot of this gear -- no hood, a thinner "shortie" suit instead, thinner gloves, and therefore -- less weight. 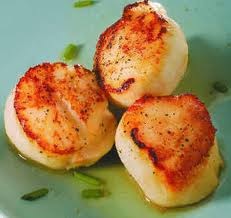 So you are diving with a lighter load, which decreases the "taxing" on yourself -- both physically and mentally. Now turn it around: a person who learned to dive in warmer waters will often have a tougher time acclimating themselves to the added burden of all the extra gear and weight, thereby increasing the "tax" -- if you will -- when they start diving here. Hey! Really --- what are YOU waiting for ??? Your first step to all of this is with NORTHWEST DIVING NOW!! !